Fernbach style culture flask with wide-mouth and beaded neck. 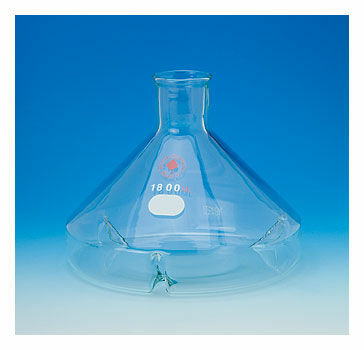 The flask is triple baffled on the bottom edges to achieve maximum oxygen transfer to the culture medium. 63mm ID beaded neck accepts cotton plugs or rubber stoppers.